Key Difference: In September 2014, Apple Inc. announced the two latest phones in its line-up: the iPhone 6 and the iPhone 6 Plus. Not only are these the latest phones, these are also the largest iPhones to date. There is no denying that Apple is a market leader in the phone industry. It controls a significant market share in the industry. 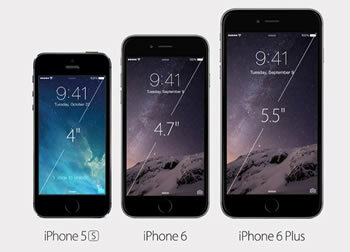 Apple phone have now reached the sixth generation, with the launch of iPhone 6 and iPhone 6 Plus. Both the phones were announced in September of 2014 with plans of being launched in the same month. The iPhone 6 and iPhone 6 Plus are slightly different variants of each other and include some significant changes from the previous iPhones. Both the iPhone 6 and iPhone 6 Plus tout larger screens. 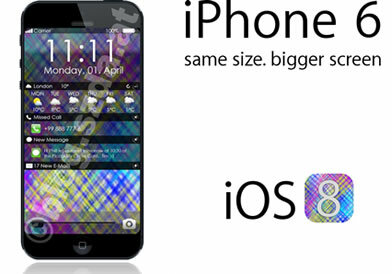 The iPhone 6 has a 4.7-inch phone, which is significantly larger than all the previous iPhones, which had 4-inch screens. However, not to be out done, the iPhone 6 Plus has a 5.5-inch phone. This has led to criticism from numerous Apple consumers claiming that this new size is too big and that Apple has given into the hype of larger smartphones as set by other phone manufactures, specifically Samsung. Furthermore, in order to incorporate the bigger size, the power button has been shifted from the top to the side. Also the phones are curvier than the previous iPhones, gone are straight edges of the traditional iPhone. The iPhone 6 and iPhone 6 Plus will have a unibody anodized aluminium chassis and ion- strengthened front screen. This will help address the issue of the shattered fronts or backs that their predecessors faced. However despite the larger screens the iPhone 6 will have the same resolution as the iPhone 5s, i.e. 326 ppi pixel density. This is where iPhone 6 Plus wins out with a pixel density of 401 ppi. Another area that the newer iPhones differ in is the battery. The iPhone 6 comes with a 1810 mAh Li-Po battery, whereas the iPhone 6 will come with a 2915 mAh Li-Po battery in order to power the larger phone. Other than these the iPhone 6 and iPhone 6 Plus are essentially the same. They both run on the latest A8 chip 64-bit architecture. They both have PowerVR GX6650 hexa-core graphics. They also feature the latest iOS 8, have 1 GB RAM and the latest M8 motion coprocessor, which is primarily aimed at fitness applications and can now distinguish between running, cycling and elevation. Like the previous phones, they accept nano-SIM only. They come in three colors: Silver, Gold, Space Gray, and are available with 16 GB, 64 GB or 128 GM ROM. Both also have a protruding camera lens which is a high risk for scratching. The iPhone 6 and iPhone 6 Plus also come with NFC, the first iPhones to do so. However, this technology is limited to the newly launched Apple Pay service, which allows users to pay for things wirelessly through NFC. Both phones have a front facing FaceTime Camera which is 1.2 megapixales and takes in 81% more light, gain HDR, has improved face detection and a burst mode for better selfies. The phones also offer 1080p video recording at 30fps and 60fps (frames per second) as well as 120-240fps in slo-mo. However, the iPhone 6 Plus has Optical Image Stabilisation (OIS), which moves the lens around to minimize camera shake that causes blurred shots. Whereas, the iPhone 6 offers a software called ‘Digital Image Stabilisation’ (DIS), rather than the actual OIS. The information for the detailed table about the two phones has been taken from the Apple website and GSMArena.com.